Are YOU a honey lover? Now you can enjoy an ongoing supply of exotic Florida honeys, all year long!1 lb. jars, 12 varieties/year. Convenient squeeze bottle, free recipes and quarterly newsletter. Get your first bottle today! Raw and unfiltered. FREE honey-filled baby bear when you join! Perky, with a striking citrus flavor, this flavored Florida honey is subtle yet bold. Enjoy a zesty zing of lime. Delicious! When a drop of Orange Blossom honey spreads across your tongue, the fragrant citrus flavor and spicy floral bouquet lets you know that this is one of the world's premiere honeys. You can almost taste the delicate blossoms and see acres of orange groves--it's like a quick trip to Florida, right there on your spoon! Note: Packaging differs from photo. Honey is sent in standard plastic "queen line" jars in order to prevent breakage. 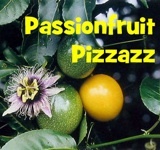 Passionate about passionfruit? Raw Orange Blossom honey with an all-natural infusion of passionfruit. Perky, with Pizzazz! Saw Palmetto honey is a gourmet honey that comes from the dwarf American palm tree, called the Palmetto palm. This honey is brought to you by bees that call our backyard home, and their hives are right next to a couple of Palmetto palms. They also like to fly down the street to the park, which has several acres of these palms in the middle of a nature trail where we love to hike.. It's a magnificent honey, amber in color, with an indescribable flavor. Get some today! Our raw honey has never been heated! That means it contains all of the beneficial enzymes, vitamins and minerals that makes honey one of nature's perfect foods. Get some today! COMES WITH FREE RECIPE BOOKLET! Lubricate your tools with beeswax! Honeybees produce beeswax using special wax glands on the sides of their bodies. They use it to extrude the hexagonal "cells" that make up their honeycomb. They use these wax cells to store nectar, pollen and baby bees (brood). We use it for just about everything else! 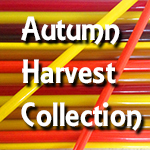 It's a great lubricant for glassblowing tools, saw blades, and drawing out wire. It's used in candles, lip balm, cosmetics, candles, waxing strings, and conditioning and strengthening thread. It has an aroma that can't be beat! Supply is limited, so get yours today! 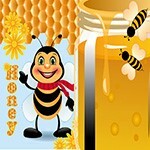 We offer raw honey. It has never been heated, and therefore retains all of it's beneficial enzymes, vitamins and minerals. We believe ours to bee the best honey available anywhere! It is pure and perfect, as nature intended. Order some today! Perky, with a striking citrus flavor, this honey is subtle yet bold. It comes on slowly, with the delectable sweetness of raw tropical honey, and then ends with a zesty zing of lime. Delicious! Note:Packaging differs from photo. Honey is sent in standard plastic "queen line" jars in order to prevent breakage. When a drop of Orange Blossom honey spreads across your tongue, the fragrant citrus flavor and spicy floral bouquet lets you know that this is one of the world's premiere honeys. You can almost taste the delicate blossoms, and see acres of orange groves--it's like a quick trip to Florida, right there on your spoon! Note: Packaging differs from photo. Honey is shipped in plastic "queen line" jars in order to prevent breakage. Our RAW honey has never been heated! This means that it contains all of the beneficial enzymes, vitamins and minerals that make honey one of nature's perfect foods. Get some today! There's nothing more pure and more satisfying than a beautiful chunk of raw honeycomb! These 9 oz. squares of Tropical Wildflower honey go a long way and are more than delicious! Slice a thin sliver and place it on your toast! Or use it like gum and chew it's gooey goodness! Great to add sophistication to a plate of your favorite company dessert. Brings out the Winnie-the-Pooh in everyone! 4"x 3"x1". Reveal your skin's best glow with our all-natural body butter! Homemade in small batches with cocoa butter, shea butter, and coconut oil, it delivers intense moisture for dry skin. Choose from tropical scents such as mango- papaya or floral scents such as lavender. 8 oz. Indulge after a long day with our all-natural sea salt scrub. Made with salt from the Dead Sea, it is rich in iodine, magnesium, calcium, and so much more! Pamper yourself with the ultimate at-home spa treatment!